This Apartment Is Too Small: You can stand under my umbrell.. bike? 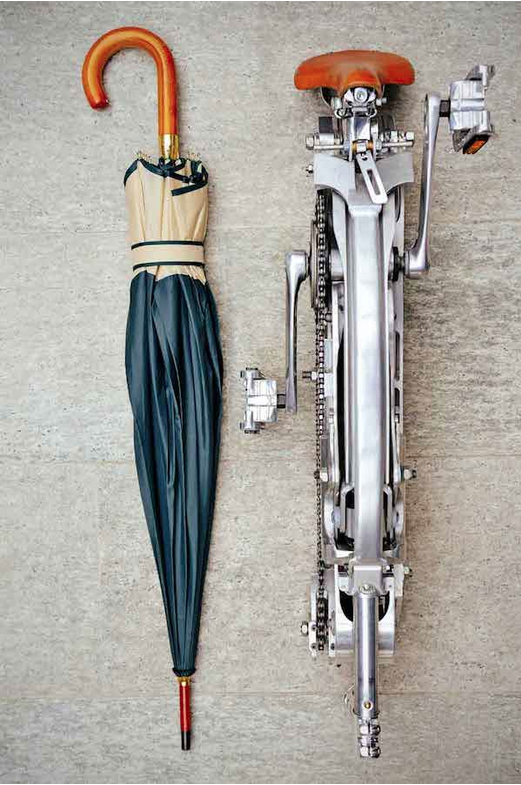 Holy crap, this incredible bike that folds to the size of an umbrella has been invented which makes me consider taking up biking... but probably not. With this in your apartment, you could feasibly have like 30 bikes in your apartment and it wouldn't even take up more space than a large laundry basket. Neat!